The Milwaukee County 4-H Tech Wizard program has 30 Middle School youth focused on water technology and careers. The Milwaukee County 4-H Tech Wizard program at Highland Community School has 30 Middle School youth focused on water technology and careers! During the past two school years, the youth worked on SeaPerch Robotics. The group built Underwater Remote Operating Vehicles (ROVs) and entered a competition to complete a related mission and obstacle course. The students had a blast learning about the underwater ROVs and competing against other youth from around the Midwest. 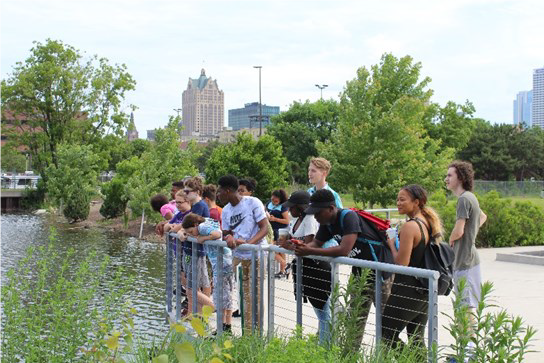 This summer, the youth wanted to dive deeper into possible careers related to water and Milwaukee’s impact locally and globally. Join us now as we highlight their experience! Our summer journey starts at The Water Council, where we toured the facility and learned more about their mission. The students had the opportunity to visit a few businesses within and were excited to network with professionals. Some of the businesses included Stonehouse Water Technologies, Greater Milwaukee Committee, and Scale Up Milwaukee. The youth shared their experience with SeaPerch robotics and how it has transpired into learning about careers related to Fresh Water Science. During the visit, one of the students was thrilled to receive a business card while discussing future High School internship opportunities. Overall, the students really enjoyed their visit and learned a great deal about Milwaukee’s impact on Fresh Water locally and globally. Our next journey introduced us to a new and unique smell. The smell came from Jones Island’s water purification process. The students toured the facility, learning how sewage or waste water is put through a four step purification process to be safely released back in to Lake Michigan. Although it rained, leading us to take the tour on the bus, we could not escape the waste water aroma in the air. However, our tour guide gladly shared that all Jones Island workers loved that smell, because for them it is the smell of “money.” We also learned about Milorganite, which are microscopic bacteria that help to breakdown organic material in water. These bacteria are then dried to be used as fertilizer. The students were also excited to learn how the Jones Island purification process has made Lake Michigan clean and ideal for Olympians to come practice swimming for their triathlons. Continuing with the water theme, the students learned about polymers and aquifers led by Eva Terry, Milwaukee County 4-H Extension staff. The group hypothesized and observed how polymers behave by skewering inflated balloons without causing them to pop. They expanded their learning with hydro-gel polymers extracted from diapers. The students were amazed to discover how absorbent hydro-gel polymers are, which sparked them to brainstorm real world situations in which the substance can be used such as water conservation. The group then built edible aquifers made from pudding, cereal, and raisins. After the students finished constructing their aquifer, they poured milk and observed how it traveled through each layer. This helped them visualize how a real aquifer works to provide fresh, usable water, and how easily pollution can seep into these underwater resources.The group really enjoyed the hands on activities and loved how delicious their aquifers were! 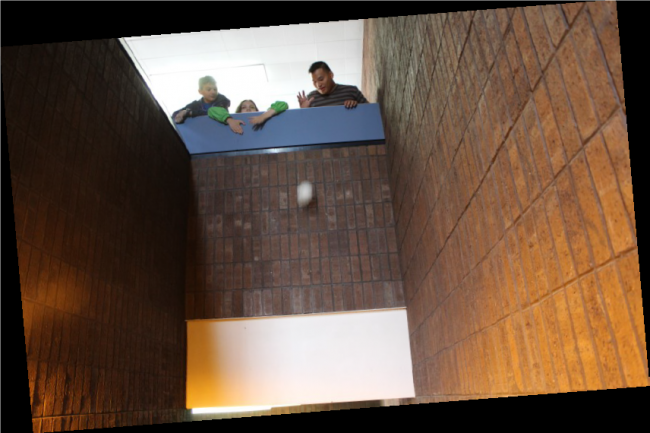 4-H Tech Wizards participated in an Egg Drop contest. Rounding out the week, the students showcased their competition skills once again! However this time they paired up to design the ultimate egg protection chamber to survive a drop from one story. The students were limited to an arm span of tape and an unlimited amount of two materials. However, the catch was the package could not exceed the dimension of 4 by 4 inches. This guideline was similar to the SeaPerch Competition, where the students’ robot designs had to fit through an 18 inch ring from all directions. The supplies available were bubble wrap, paper, plastic bags, cardboard, and other miscellaneous supplies to construct their egg protector. Once the designs were completed and measured, each team went to the top of the stairs with both nervousness and excitement as they anticipated if their design would protect the egg. There were many creative designs, but two teams were successful in designing an egg protection chamber. After the results, those who were successful shared their methodology for their design and explained why they thought it worked. For those who were not successful, they shared potential design flaws and improvements for next time. The Milwaukee County 4-H Tech Wizard Summer program at Highland Community School complemented their students’ school year project, Underwater Robotics, with career exposure and deeper knowledge of environmental impacts that affect freshwater. The students met career professionals in the water industry and were excited to share their projects with them. 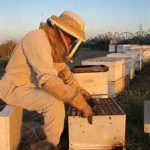 The 2019 Beekeeping for Certification class starts April 10th! 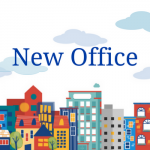 Get your registration information here!